Four schoolgirls fed cattle seaweed, surveyed farmers at the mart and visited milk processing plants to enter the Intel Mini Scientist competition. Méabh McGonagle; Jennifer Mullen; Kate Strogen and Méabh Keenan, pupils in Saint John's Primary School Cratloe, Co Clare, receive the best project book prize at the Intel mini scientist awards at NUI Maynooth. 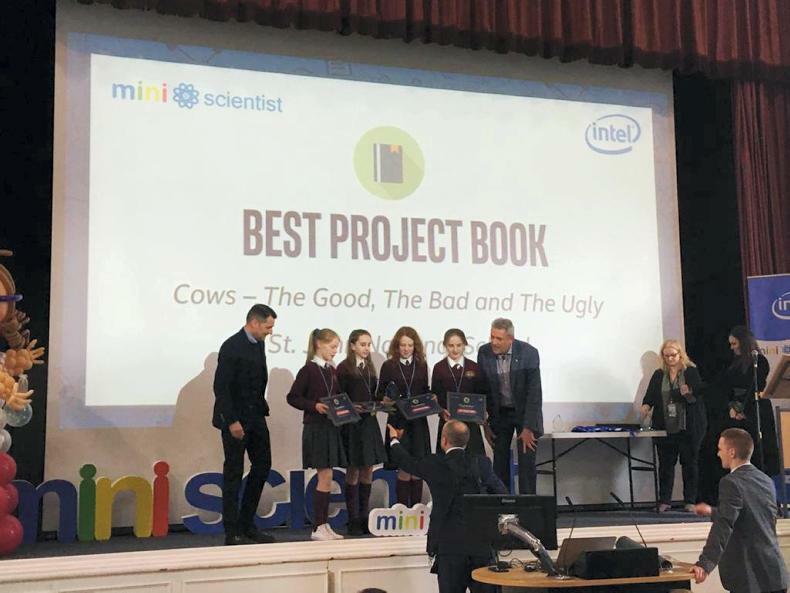 Sixth class pupils Méabh McGonagle, Jennifer Mullen, Kate Strogen and Méabh Keenan fom Saint John's Primary School in Cratloe, Co Clare, have won the best project book award in the Intel Mini Scientist competition for their project "Cows: the Good, the Bad, and the Ugly". 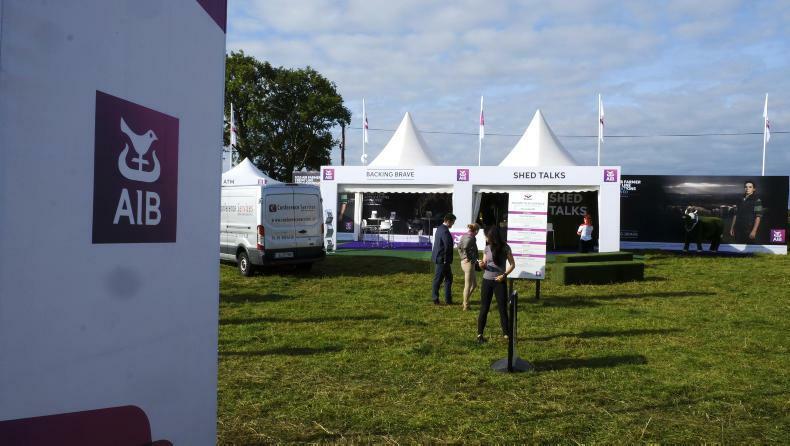 "There were 8,000 pupils at the start with 2,300 projects," Mullen told the Irish Farmers Journal. "We made it into the top 1%" at the national final at NUI Maynooth this month. Strogen said the group decided to study dairy production after hearing about greenhouse gas emissions from cattle. "The good is the milk, the bad is the emissions, the ugly is the slaughter and slurry," she explained. Although none of the four live on farms, they have farmers among their close relatives and worked with them for their research. "We heard about Joe Dorgan, a farmer from Canada, who found that by feeding seaweed you can reduce emissions," said Keenan. The girls then spent time with a farmer in Co Galway to feed seaweed to cows themselves and observe their reactions. They also visited the Lullaby fresh milk plant in Kanturk, Co Cork, and the Wyeth milk powder factory in Askeaton, Co Limerick. There, they saw how infant formula is produced and discuss the food safety aspects of seaweed-diet milk with the company. Next, they studied public opinion, starting with children's attitudes to vegan and vegetarian diets in their own school – going vegetarian themselves for two days. "From third to sixth class, we found only one vegetarian and no vegan," said McGonagle. One percent of pupils would considered going vegan and 8% vegetarian. Giving up milk chocolate emerged as a major barrier to veganism, she added. 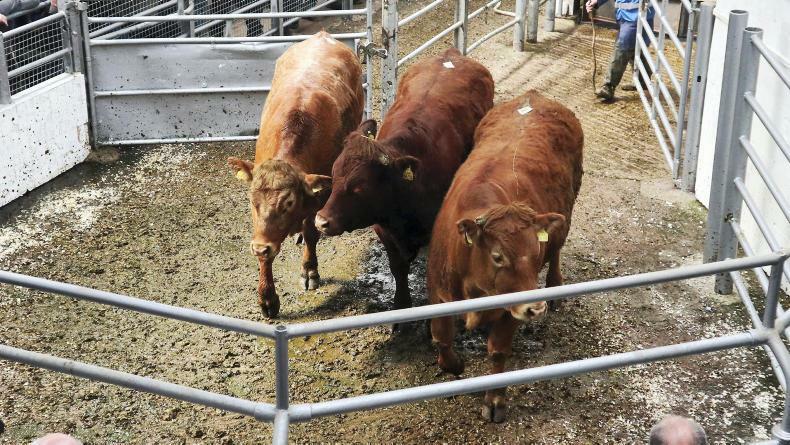 The pupils went to Sixmilebridge Mart to survey farmers and found that 35% would be willing to experiment with feeding their cows seaweed, and this jumped to 85% if there received financial incentives to do so. The four girls have been sharing the results of their research. "We emailed the Minister for Agriculture about it, made posters around the mart and gave them to farmers," said McGonagle. 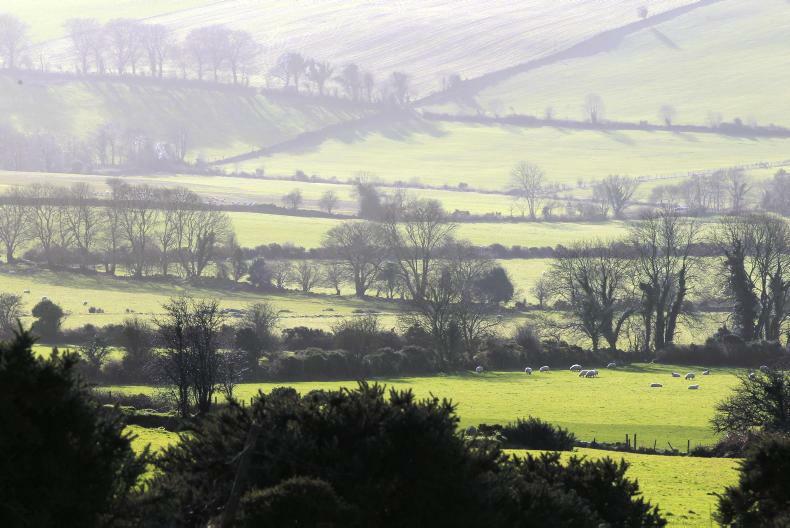 They received a reply from Department of Agriculture officials saying they would keep the suggestions for ongoing environmental policy development.